The Financial Intelligence Analysis Unit (FIAU) has breached the requirements of a directive on the prevention of money laundering and terrorist financing, the European Banking Authority (EBA) has concluded. “The EBA concluded that the FIAU failed to conduct an effective supervision of Pilatus Bank due to a number of failures, including procedural deficiencies and lack of supervisory actions by the FIAU after its decision to close the case without imposing any sanctions on the bank,” the authority said. Later in the evening, the FIAU said it had serious reservations on the process adopted by the EBA (see statement below). The European Union’s banking watchdog was in February asked by MEPs to open a preliminary enquiry on the possible breach of EU law by the Maltese authorities in relation of the Pilatus Bank. In its reply on Wednesday, the EBA said that after opening a formal breach of Union law investigation in relation to the FIAU, its board of supervisors concluded that the anti-money laundering unit had breached the directive on the prevention of the use of the financial system for the purpose of money laundering and terrorist financing. The authority has made a series of eight recommendations to the FIAU, calling for the it to ensure that it takes the appropriate measures to ensure it fulfills its obligations under EU law and that it ensure that the interpretation of national law is in line with that of Europe. The EBA has also called on the FIAU to enhance its assessment of money-laundering risk, instructing it to take a holistic view of the level of money laundering risk to which each type of credit and financial institution is exposed. The FIAU should also implement “robust internal procedures” to conduct anti-money laundering supervision, while urging it to also keep documents of minutes of all Compliance Monitoring Committee meetings. “The FIAU should ensure that where it concludes that it does not have evidence of an infringement or a clear-cut breach of applicable legislation, but maintains concerns regarding the adequacy of the an obliged entity’s approach to anti-money laundering, it adopts within a reasonable period appropriate supervisory measures or a supervisory plan designed to address the risk identified,” EBA chairperson Andrea Enria concluded. The EBA’s recommendations come after a number of shortcomings were identified as part of the enquiry. It found that the FIAU did not have sufficient records of the specific files and documents it had examined during an on-site visit at Pilatus Bank, noting that this “lack of records contributed to the FIAU’s inability to defend itself against the institution’s challenges”. The watchdog also noted that notwithstanding the serious nature of its initial findings, the FIAU had not documented, or otherwise provided clear reasons and compelling arguments, why it considered it appropriate not to impose any sanctions or other supervisory measures. “This applies, in particular in relation to those initial findings that are not related exclusively to Pilatus Bank’s failure to provide the required customer diligence documentation, including the very high risks of money laundering to which the institution is exposed not being mitigated adequately and the lack of sound anti-money launder policies established by its board of directors for customers classified as PEPs,” the EBA said. 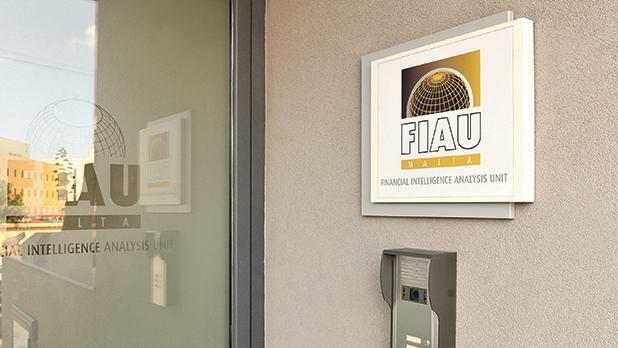 It was also noted that despite it being a high-risk institution, the FIAU did not plan or carry out any on-site inspections at Pilatus Bank until after it was instructed to do so by the Malta Financial Services Authority, two years after the bank started its activities. “No risk-based justification has been given for this inaction,” the EBA added. The FIAU has 10 working days to inform the EBA of the steps it intends to take to address the highlighted issues. MEP David Casa told the Times of Malta it was now painfully clear that Pilatus Bank was allowed to operate in Malta with complete impunity, "a massive failure of the regulatory authorities". Pilatus, he said, was the bank of choice of the Prime Minister's chief of staff Keith Schembri and his associates. "And the failure of the institutions to act is necessarily linked to the fact that this bank serviced persons at the highest levels of the Maltese government." He said it was disgraceful that the institutions that should protect Maltese citizens were more concerned with protecting corrupt politicians. "Pilatus Bank has ceased operations but Nexia BT continues to operate. It is clear that so long as our regulatory authorities do not take action against Nexia BT they cannot claim that are compliant with EU legislation. They must get their act together and desist in what is a clear dereliction of duty," he said. Murdered journalist Daphne Caruana Galizia had reported that family members of Azerbaijan’s President Ilham Alivey banked at Pilatus, along with Azerbaijan’s Minister for Emergency Situations, Kamaladdin Heydarov. A man described by leaked US diplomatic correspondence as being a “front man” for Mr Heydarov set up a number of companies in Malta via audit firm Nexia BT a month after Dr Muscat, Mr Schembri, and Tourism Minister Konrad Mizzi visited Azerbaijan. MEP Roberta Metsola said it was regrettable that Malta was again in the headlines "for all the wrong reasons". The findings of the European Banking Authority are serious and extremely worrying, she said, adding that she expected the relevant authorities to follow all the recommendations made. "It is clear to everyone that Pilatus bank should never, ever, have been granted a licence to operate in Malta. "The fact that it has been able to flout our rules with total impunity for so long is a damning indictment of the regulatory bodies meant to protect citizens from abuse." Pilatus Bank was a stain on Malta’s financial services sector and this sorry episode must lead to concrete, formalised rules to ensure that this was never allowed to happen again in Malta, whoever was in government. "We expect serious action in order to restore people’s faith in our regulatory bodies. This debacle further underlines the need for a European anti-money laundering authority," she said. In a reply to the EBA, the FIAU said it was disappointed with the authority's conclusion and had serious reservations on the process it adopted to carry out its preliminary inquiry and the subsequent investigation. Notwithstanding this, it said it would continue to cooperate with the EBA throughout the implementation of the FIAU’s action plan, which had been set in action prior to the opening of a preliminary inquiry in November 2017. The FIAU said it would be responding to the EBA in due course.